Once you have endured the pain of childbirth and your baby has finally entered the world, many women begin to breast feed immediately. In fact, some babies instinctively look for their mother’s breasts as soon as they go into their mother’s arms. And while It will typically come very naturally to you in the moment, there are so many other aspects of breastfeeding that women have burning questions on. As breastfeeding your newborn child is an essential activity that serves a huge function for the baby’s overall health and nutrition, we wanted to take some time to thoroughly explain breastfeeding and all the most common questions regarding this practice. Breastfeeding is essential to your baby’s overall health. Breastfeeding right after giving birth is important! This is something that many women simply do not know going into breastfeeding and is important for a few reasons. Most importantly, it improves your immune system through the ingestion of colostrum, which is basically a fancy word for your breastmilk. Many women don’t realize that they have been making colostrum since about three to four months into their pregnancies, but it is very important for keeping your baby healthy. Especially when your baby has just exited the womb and is exposed to the elements, it is paramount that they receive these immune-system boosting effects of colostrum. Breastfeeding immediately also helps to stimulate the baby’s digestive system along with their bowels, both of which are also very important to the baby’s overall ability to function in the real world. Lastly, by breastfeeding immediately after giving birth there are two other benefits that are more on the personal level. First off, you as a mother instantly become more confident in breastfeeding your baby, which is relieving in and of itself. And second, you instantly bond with your baby through the act of breastfeeding right away. And while both benefits may seem small, they really can have life changing effects on the early life of your baby, so be sure to breastfeed as soon as physically possible! But what if my baby doesn’t latch on? If after the first hour your baby still hasn’t latched on or suckled, there are a few things you can do. The first thing is to explicitly feed your colostrum from your breast into the baby’s mouth (ideally through a teaspoon or small cup). This can help the baby to begin seeking the breast for more colostrum. Having lots of skin-to-skin contact is also a great trick that naturally gets the baby looking for the breast as well. Any general skin-to-skin contact will work, especially holding your baby against your chest area. But note that this doesn’t mean explicitly holding your baby’s face against your breast to try and get him or her to latch on that way. If the baby wants to latch on, they will locate the breast on their own. Also note that there are multiple breastfeeding positions that exist, so if your baby isn’t latching on with one position, switching what position you are using can make a difference. One final great tip to get your baby to latch on is to gently stroke him or her on their stomach and legs. This is an especially useful tip when the baby is sleeping or looking very tired. The reason for this is that when waking up, one of the first responses is to look for their mother’s breast, and so gently waking them up can help coerce them to latch on. As tempting as it may be to use these methods, doing so actually does more harm than good, not just to your baby but to you as well. By using milk that isn’t your own breast milk, you increase the risk of your baby becoming sensitive to cow’s milk later in life. Your baby may also have trouble latching onto your breast next time if you alternate between actual breastfeeding and using bottles. And the lack of frequent breastfeeding sessions can lead to your own breasts becoming engorged, or even worse, you may end up with blocked milk ducts and breast inflammation which is known as mastitis. As you can see, breastfeeding exclusively through your own breast not only is beneficial (if not necessary) for your baby, but for yourself as well, so it is important to rely on your own breastfeeding as much as possible, for both of your sakes! Obviously heavy drinking is a big no-no for moms who are actively breastfeeding. But what about the occasional drink here and there? This is totally acceptable and should not cause any issues with your baby, as long as there are a few hours between your last drink and when you start feeding again. This all depends on how much you drink and your own alcohol tolerance levels. 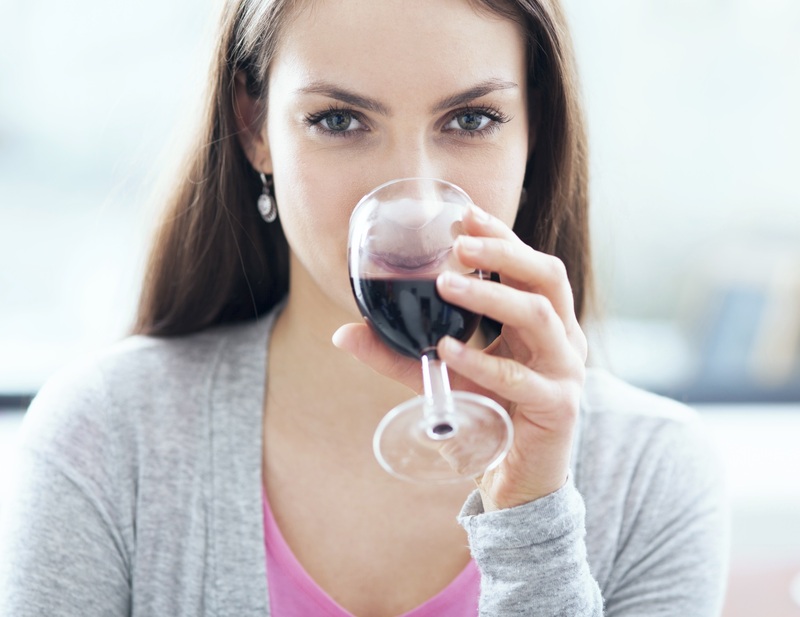 For the average women, an average glass of wine should be taken at least 3 or 4 hours before breastfeeding. If you partake in heavier drinking than that, then the length of time will go up accordingly. Your baby health is of utmost importance, so always stay on the safe side if you aren’t sure. Occasional drinking is fine, as long as you wait at least a few hours before breastfeeding again. And lastly note that if you are drinking enough to have a hangover the next day, you should not breastfeed your baby until you fully recover. Although smoking is not the best thing to do while you are breastfeeding your baby, it is not harmful enough that we would recommend not breastfeeding them as a result. Having said that, it would be better if you were to limit your smoking as much as possible during this time, if not putting a hold on smoking altogether. This is not just with the baby’s health in mind, but really the health of you as the mother as well. So when should I not breastfeed? There are only a few reasons a woman should not breastfeed under any circumstances. First off illegal drugs are obviously something you should not be using while breastfeeding, but we’ll mention that just to be absolutely clear on that. If they have HIV or any other HTLV diseases, they should not breastfeed. Nor should they breastfeed if the have active shingles or chicken pox on the breast. Any untreated chicken pox or untreated active tuberculosis also means you should not breastfeed. And lastly, if you are receiving any sort of chemotherapy for treating cancer, you should not breastfeed. If you are still not sure whether you should be breastfeeding, please consult a physician. Don’t forget that breastfeeding is an integral part to your baby’s health, even if you feel like all you are doing is feeding your baby milk. The health effects of real colostrum from your own breast cannot be overstated, not to mention the emotional benefits of breastfeeding between a woman and their beloved baby. Hopefully this article has been insightful for all the future mothers out there, or even for those who have already given birth and are already experiencing the joy of breastfeeding firsthand. Be sure to always embrace breastfeeding, because it means that you are embracing the joy and great responsibility of motherhood as well!